When an unstoppable evil spreads across the universe, heroes across time and space will be summoned together to face a threat that none of them could have possibly dealt with on their own. 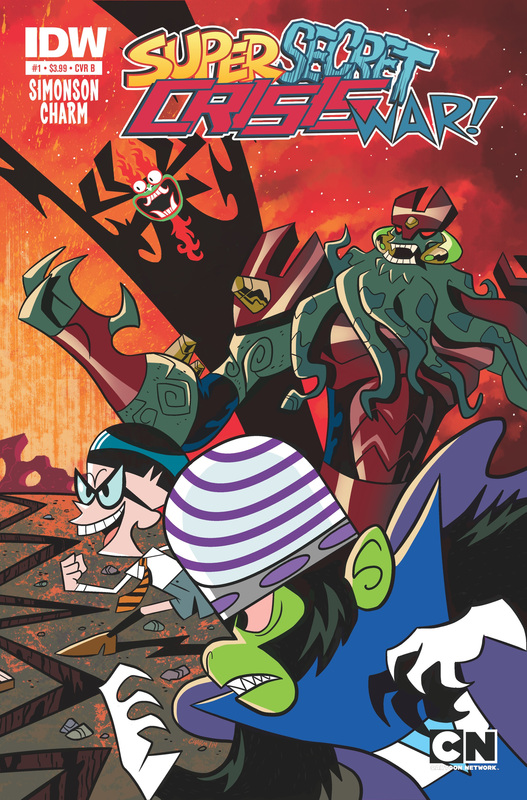 In Super Secret Crisis War!, the fate of the universe will depend upon a stoic warrior, a kid hero, a mad scientist, a fearsome trio of lab experiments, and… Ed, Edd and Eddy?!? This June, the heroes of some of Cartoon Network’s most popular shows will join together at IDW for this all-ages, mega-colossal crossover where worlds and characters collide like never before! Written by the legendary Louise Simonson, the six-issue event will feature the herculean heroes going toe-to-toe against the nefarious nemeses Aku, Vilgax, Mandark, Mojo Jojo, attempting to thwart their conniving conquest. Art and cover duties will be handled The Powerpuff Girls writer and artist Derek Charm. Each issue will also feature a subscription cover by The Powerpuff Girls writer and artist, Troy Little that combine to form one massive image, so make sure to collect them all. Additional variants by top artists including Katie Cook (My Little Pony) will also be available for this special event. 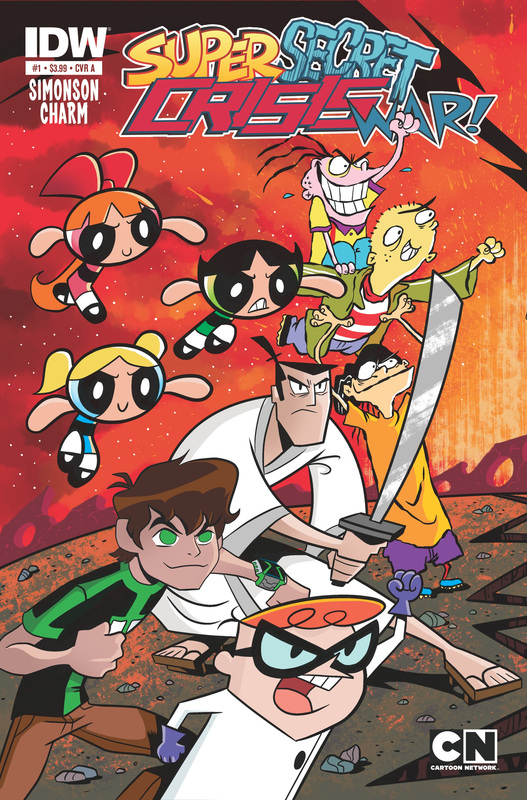 The beloved Cartoon Network franchises at IDW have brought back the nostalgia for old fans and introduced a whole new audience to the amazing creations by series creators Genndy Tartakovsky (Samurai Jack), Craig McCracken (The Powerpuff Girls), and Man of Action (Ben 10). And starting in July, the madness expands! Foster’s Home for Imaginary Friends, Grim Adventures of Billy and Mandy, Johnny Bravo, Codename: Kids Next Door, and Cow and Chicken will all take center stage as they join the madness of the Super Secret Crisis War in their own one-shots. Written by Ivan Cohen, Kate Leth, Erik Burnham, Scott Peterson, & Jim Zub, respectively, each one-shot will tie in to theSuper Secret Crisis War showing the full scope of the looming threat. With all of these classic characters sharing the page, the universe will never be the same!